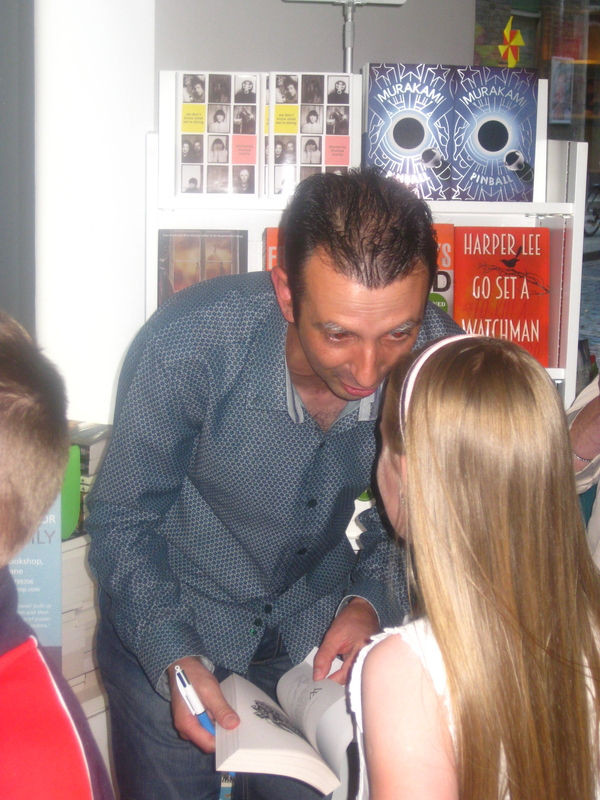 Kieran Fanning’s book launch in Dublin’s Gutter Bookshop on August 24th was an exciting affair, with children and adults alike clambering for seats, photo angles, and a prize spot in the long queue to have his book, The Black Lotus, signed, followed, of course, by the obligatory photo with the smiling author himself. And he had reason to smile. His time-travel, teen-ninja adventure is a cracker of a story, guaranteed to hook imaginative pre-teens and adults with its solid characterisation and twisting plotlines. 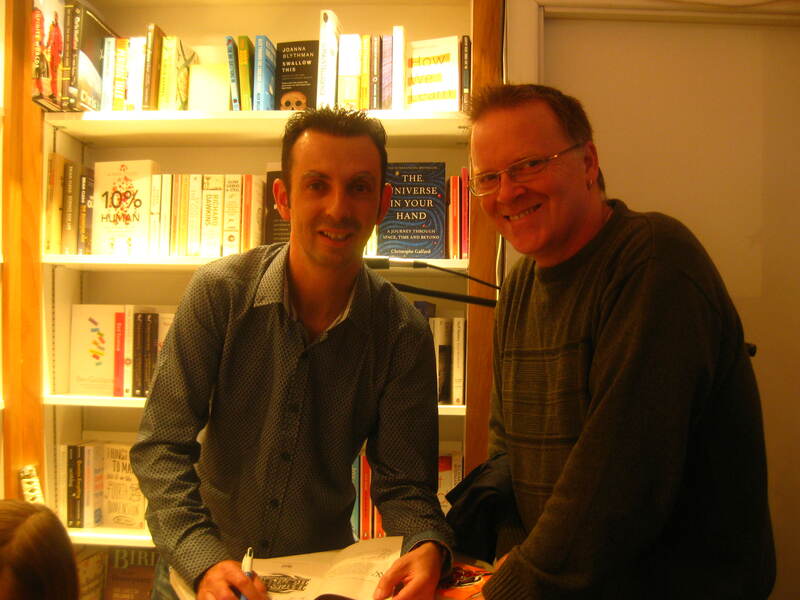 I know because I had the pleasure of lending a helping hand in the book’s early stages when Kieran put it through Critique Circle’s public and private queues. It is my experience that peer critique is an essential element of story development, and I recommend it to any author after they’ve completed their first draft. Kieran, as is only right, took full advantage of C.C’s system, putting The Black Lotus through the crit ringer no less than three times, relying on what developed into a solid team of five crit-buddies who he was good enough to credit in his novel’s acknowledgements. And fair play to the Gutter Bookshop on Essex Street in Temple Bar, an independent entity who put on an excellent show, one of many they provide for new and established authors. 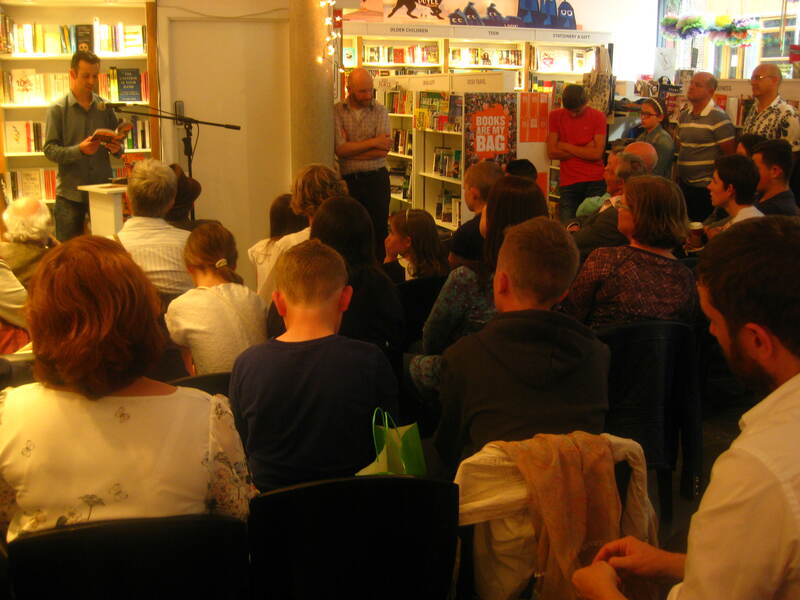 Barry Cunningham, representing Kieran’s publisher, Chicken House, stood proud as punch before the packed bookshop, letting us know how happy they were to have landed a writer with so much potential, who is in the process of lighting up the world of children’s literature in Ireland and beyond. Then guest speaker, Robert Dunbar, Kieran’s mentor from his time in St. Patrick’s College, Dublin, got up and wasted no time in painting the man of the hour in glowing hues, leaving us in no doubt that his protégé is a man who will go far in the world of literature. This was met with hearty applause, simply because we also believed it. He gave credit where credit was due, thanking his C.C team, his agent, publisher, and their editors, who have collectively shaped TBL into the cracker it is today, a real credit to the developmental process from peer critique to professional editing, never forgetting the enormous work put in by the writer himself. Without Kieran’s determination to see this seven-year project through, no amount of external assistance would have mattered. The Black Lotus, as it is now, is a testament to a writer with vision, who was always open to feedback, often willing to take it on the chin in order to see his work reach its full potential. It was great to finally meet Kieran after knowing him for six years online. He’s a gentleman of the word, and I’m looking forward to his next book, as I’m sure you will be, too, once you read The Black Lotus, available at a bookshop near you.